Designed and built by the APL – which also designed and is building the Solar Probe Plus spacecraft – EPI-Lo will measure low-energy particles streaming from the sun. 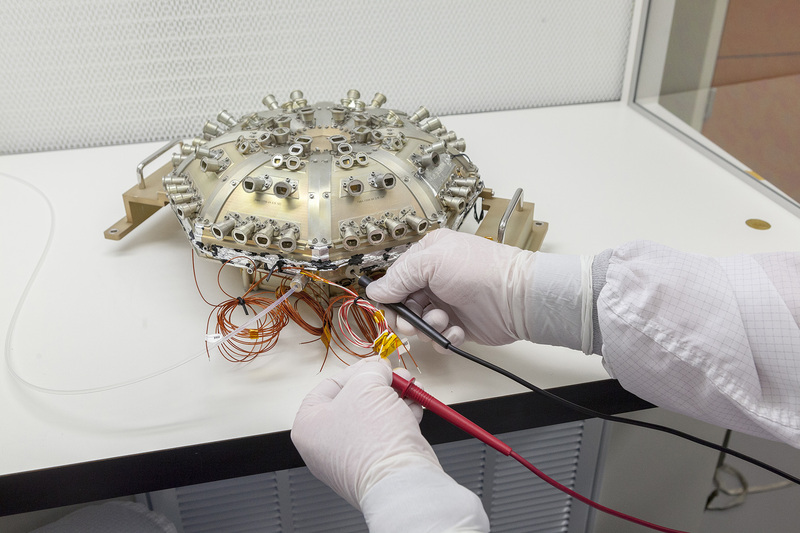 Combining EPI-Lo data with the high-energy particle measurements of its EPI-Hi component, the entire suite will explore the mechanisms that produce, accelerate and transport energetic particles in the inner heliosphere – which stretches from the Sun’s corona to the orbit of Mercury. David McComas of Princeton University is the Integrated Science Investigation of the Sun (IS¤IS) principal investigator, and the Southwest Research Institute, San Antonio, manages the IS¤IS suite. NASA’s Jet Propulsion Laboratory is providing the EPI-Hi instrument, scheduled for integration later this week. Solar Probe Plus will carry three other scientific instruments and suites: a solar wind plasma suite, the Solar Wind Electrons Alphas and Protons (SWEAP) investigation; an electric and magnetic field suite known as FIELDS; and a wide-field imager called WISPR. This state-of-the-art payload – riding aboard a probe that will fly closer to the sun than any spacecraft before it – will address the mission’s overarching science goal: to determine the structure and dynamics of the sun’s coronal magnetic field, understand how the solar corona and wind are heated and accelerated, and determine what mechanisms accelerate and transport energetic particles. Solar Probe Plus is scheduled to launch during a 20-day window that opens July 31, 2018. 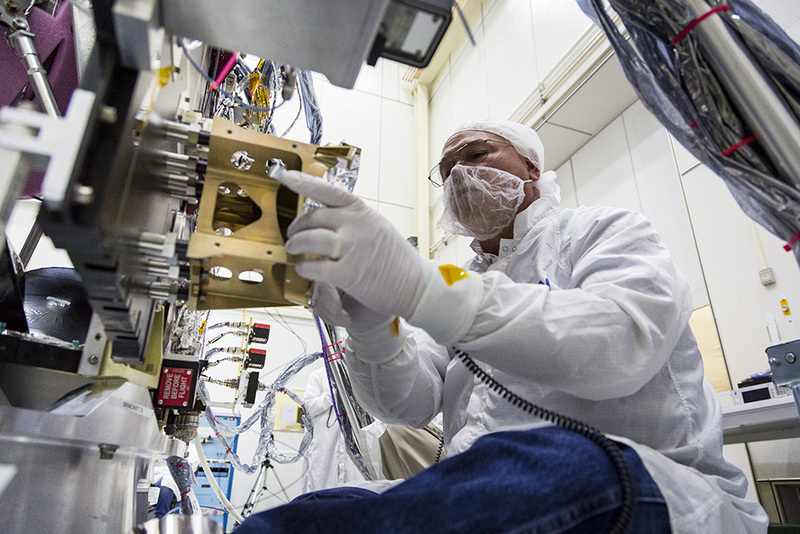 An APL technician prepares the Energetic Particle Instrument-Low Energy (EPI-Lo) for installation on NASA’s Solar Probe Plus spacecraft. Neal Bachtell, of the Space Exploration Sector, adjusts the bracket for the Energetic Particle Instrument-Low Energy (EPI-Lo) on the Solar Probe Plus spacecraft on April 17, 2017. EPI-Lo is the first of several science instruments set for installation on the NASA spacecraft, scheduled to launch in July 2018 on an unprecedented, close-up study of the sun.